As part of its event organization activities, the GCRP provides a range of means to, in a more efficient and harmonized manner, manage the numerous tasks to accomplish. 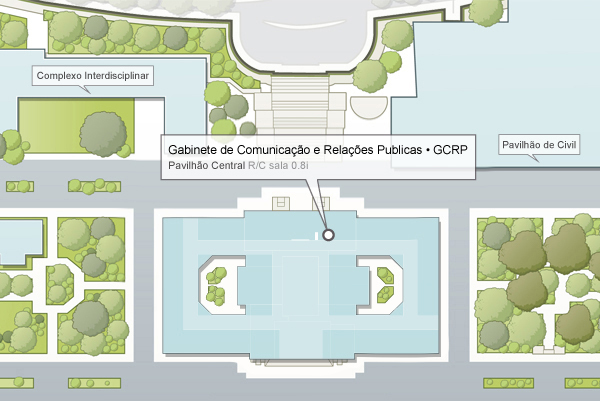 The submission of requests for divulgation on the Técnico website must be formalized by sending the information to email to GCRP. Today, the merchandising initiatives are critical to boost the image of institutions insofar they constitute a central factor in the diffusion and consolidation of trademarks. The investment in these areas is essential because they are key drivers in the dissemination of information, giving products, trademarks or services greater visibility, always with purpose of motivating and influencing consumers’ purchase decisions. Técnico offers a wide range of products, which can be purchased at the Merchandising Store (campus Alameda) and some also in Taguspark and CTN. At Alameda store there are also some ULisboa and Tunas products.